I’m not really sure how other people go about planning vacations, but we tend to do it by the seat of our pants. This trip to Southeast Arizona was one that Jay and I had been vaguely talking about for years, but it had never gone beyond mulling it over as something to do “someday”. Out of the blue one Sunday afternoon, we just decided to go, bought the plane tickets, made lodging accommodations, and signed ourselves up for a couple birding field trips. Just like that. I love this about us, love the spontaneity of it, but it also makes me a little nuts. I’m not a person who likes surprises really, but the anxiety involved in properly planning and anticipating a trip is almost worse, so I guess the way this trip happened was perfect. In the short time that I had to plan, I researched the Tucson area for things we might do to fill our time when we weren’t out looking for birds. Arizona: Desert, cacti, mountains, and some canyons, grand and scenic, right? 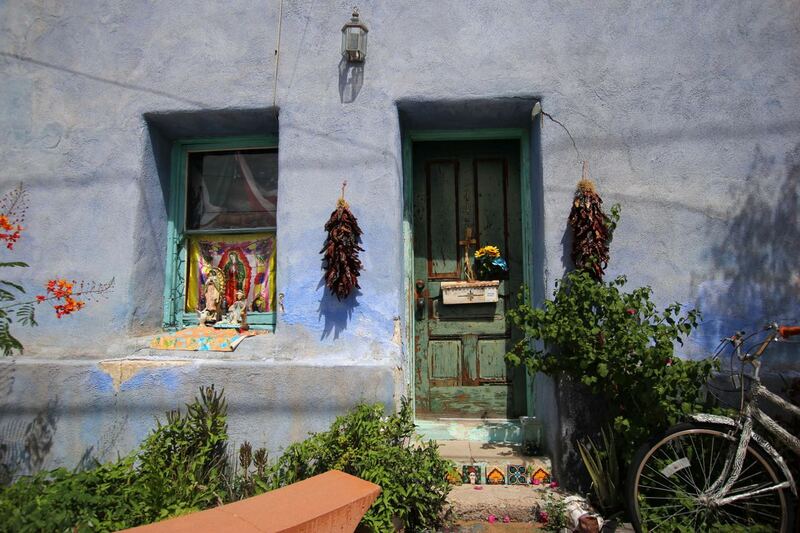 I dug past the obvious and the first thing I came up with was a visit to the Barrio Viejo: Tucson’s “old neighborhood” – it’s filled with 19th century adobe homes and businesses that preserve the old architectural styles. 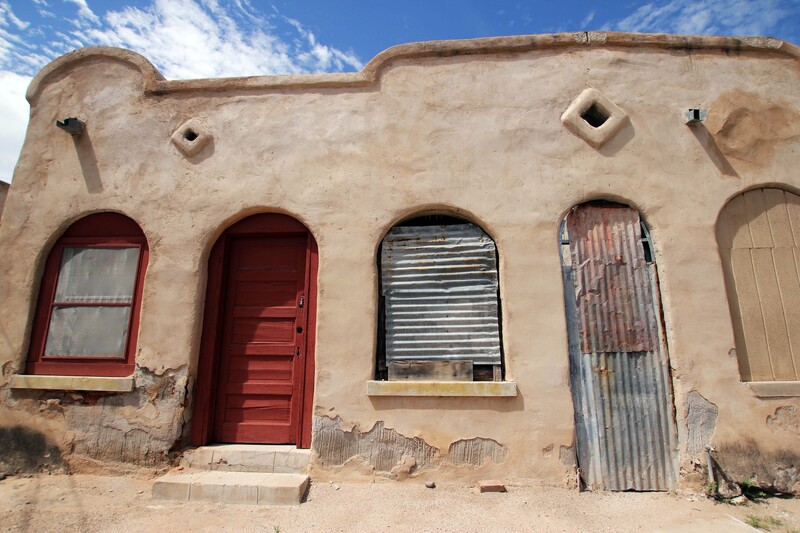 Sadly, much of the northern parts of the neighborhood were destroyed in the 60’s and 70’s when Mexican-American families were displaced as the area became gentrified. Those that are left are well-tended and beautiful. So colorful and vibrant. Despite the ridiculous heat that first afternoon, I wanted to keep exploring because at every turn there was something delightful. I have the sense, too, that the community is as vibrant on the inside as it appears from the outside. It felt like a neighborhood that loves where it lives and engages with its neighbors in (sometimes) surprising ways. For example, the photo above – the Taco Cristo, one of a cast of saints appearing throughout the barrio. I’d sought this mural out after seeing a photo of it on Instagram. 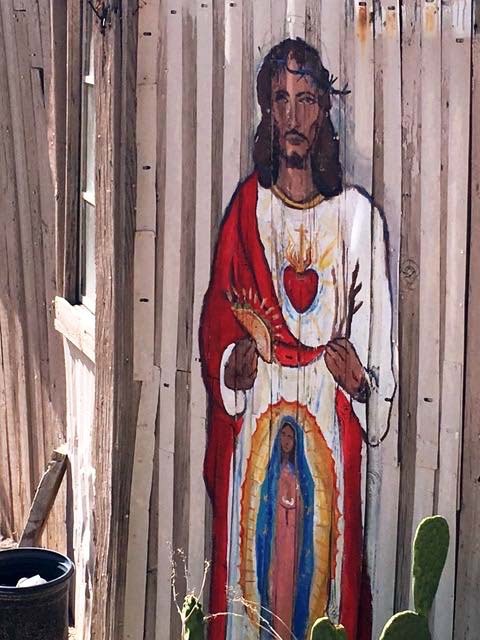 To find it painted on the side of a shed, in a dusty backyard next to a raspado stand, facing an alley, brought me an irreverent sense of joy . Doesn’t Jesus holding a taco make you giggle, too? I loved the colors of this neighborhood and the way that each home distinguished itself from the one beside it. 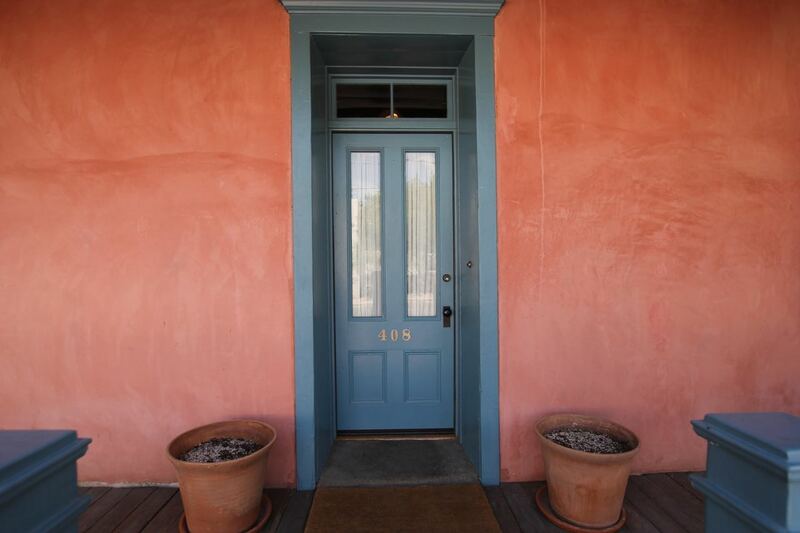 The photographer in me delighted in the contrasts of color and texture and the use (or lack) of garden plantings. 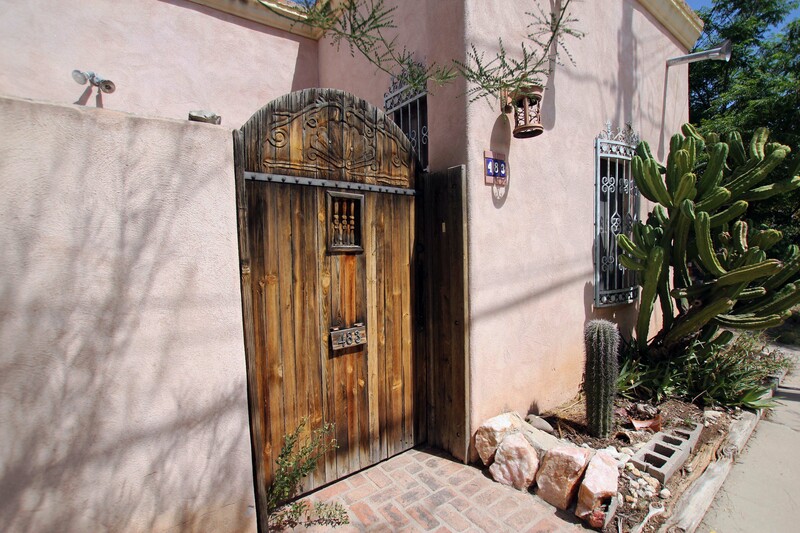 Who would think that cacti and other desert plants could be so beautiful and versatile? I learned that cacti take on a range of shapes and colors, and their spines can capture the sunlight to make them glow. They somehow make you want to touch them, despite knowing better! 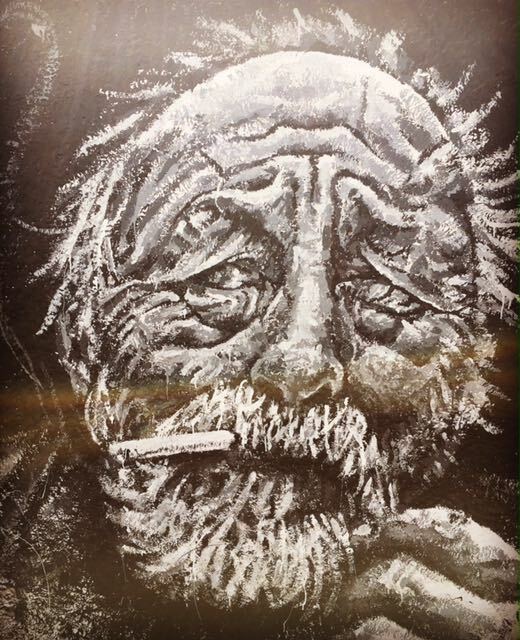 This street portrait of poet Jim Harrison was another pleasant surprise, also facing an alley for passerby to enjoy. 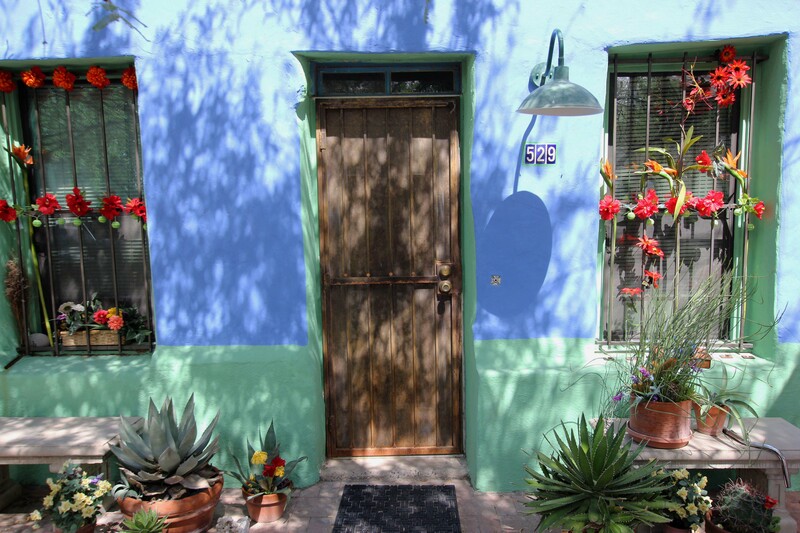 Harrison wintered in nearby Patagonia, Arizona and is something of a model to me of how to enjoy the local culture. I wish we’d had more time to explore and more tolerance for the heat, but I think someday I’ll find myself back in the barrio, camera in hand. Thanks for indulging me and the heat!